As a certified and experienced nutritionist and wellness coach, it’s my passion to work with and inspire individuals to live a healthy, energetic and meaningful life! I found my passion when we lost our youngest sister to Lupus and no one could diagnose it until she died 3 days after being admitted. I feel blessed to help clients with any autoimmune condition. Would it be beneficial for you if you were healthier, happier, energetic and managed your stress levels? Would having clear skin, healthy hair and sparkling eyes boost your mood? All this is possible with Nutrition! Jennifer is an author of a healthy recipe book published in 2015.The recipes were put together with the help of her two daughters. The recipe book has been used by teens in schools and at home due to its simplicity and effectiveness. 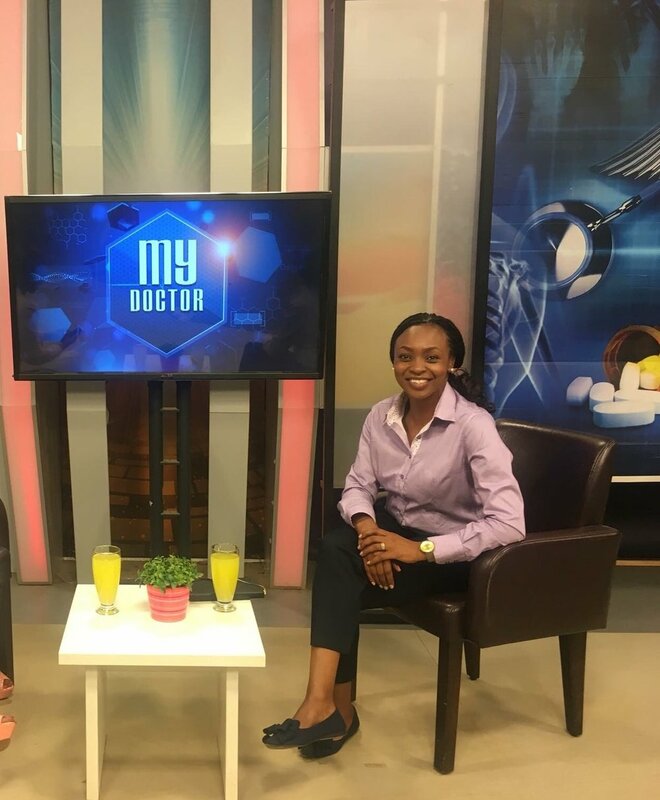 She has been featured in the "Women in power" segment on Nation TV and several other media channels speaking about her passion- Wellness. She is the current guest Nutritionist on Jambo Radio FM every Monday at 1pm- Tune in! Jennifer has been involved in the annual Karura medical camp- A free medical camp that offers screening, counseling and medical treatment to over 1500 people in the poor community of Karura. Most of the clients seen suffer from lifestyle diseases that can be reversed and/ or managed through nutrition and lifestyle choices. Jennifer has successfully launched the silent retreat program where you get to discover your inner power in silence. This event takes place four times a year, in a quiet location in different countries like Kenya, Tanzania, Uganda, Lesotho and soon launching in Lagos, Gabon and Paris. She has also designed a sleep guide and healthy corner programs for different hotel chains in Kenya. She is a mentor with the Cherie Blair Women Foundation currently mentoring a young lady from Cambodia on starting a wellness business. Jennifer is a part-time lecturer, a Cherie Blair foundation for women (CBFW) mentor and the only African registered wellness coach with The International Associations of wellness professionals- IAWP. She holds a Masters degree in Business Administration and has worked in Europe, Kenya and Tanzania in both service and product industries. She has served in the Chartered Institute of Marketing (CIM) board; she is a certified Chartered institute of marketing trainer and a monthly WELLNESS columnist with Marketing Africa Magazine. Licial Wellness - Our mission is Building your capabilities to impress the person who matters most...You!